The debs is a big event in every Leaving Cert child’s life. Here in Donegal it’s no different. So much preparation goes into the night and it may seem easier for boys but sometimes they too have a lot to prepare too. 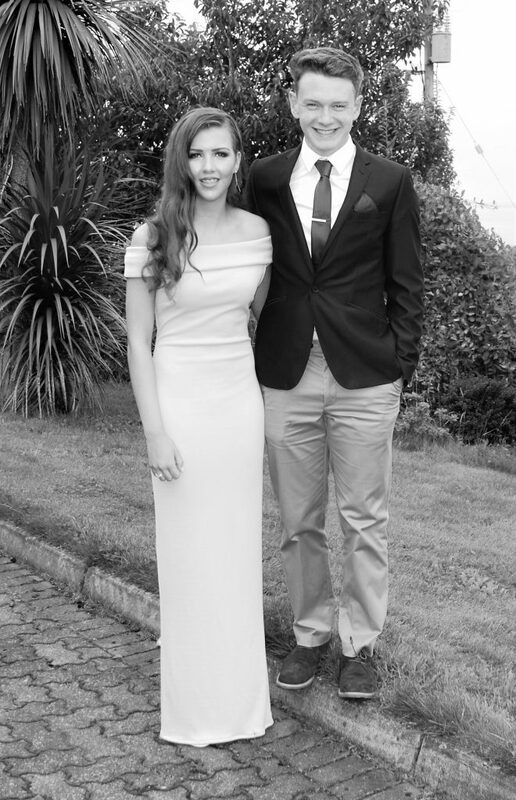 My youngest, Ultan, had been planning his formal night for a while. The clothes were sorted, the hair appointment made. The arrival motor was booked but was very much weather dependent. 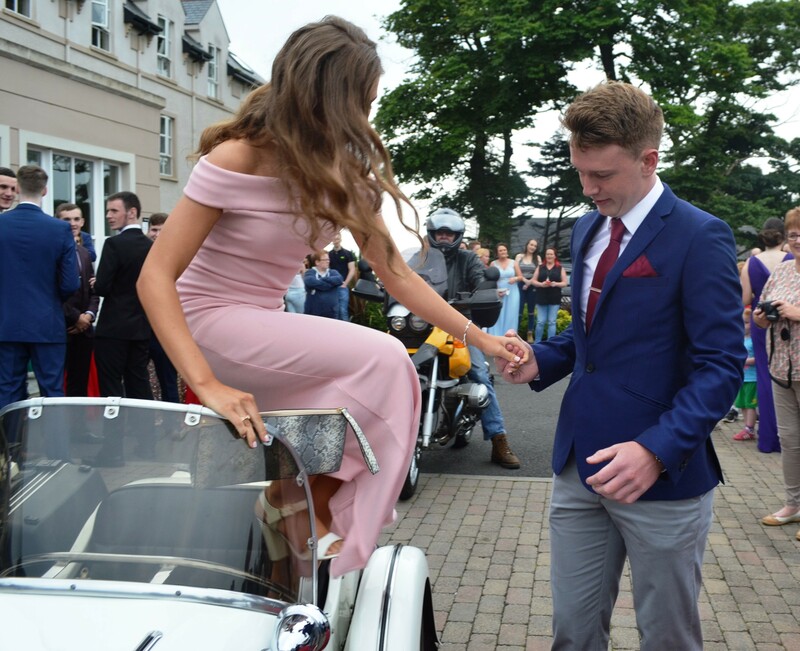 His school, Moville Community College has their annual formal dance at Redcastle Hotel in the days following Leaving Cert results. This year was no exception. 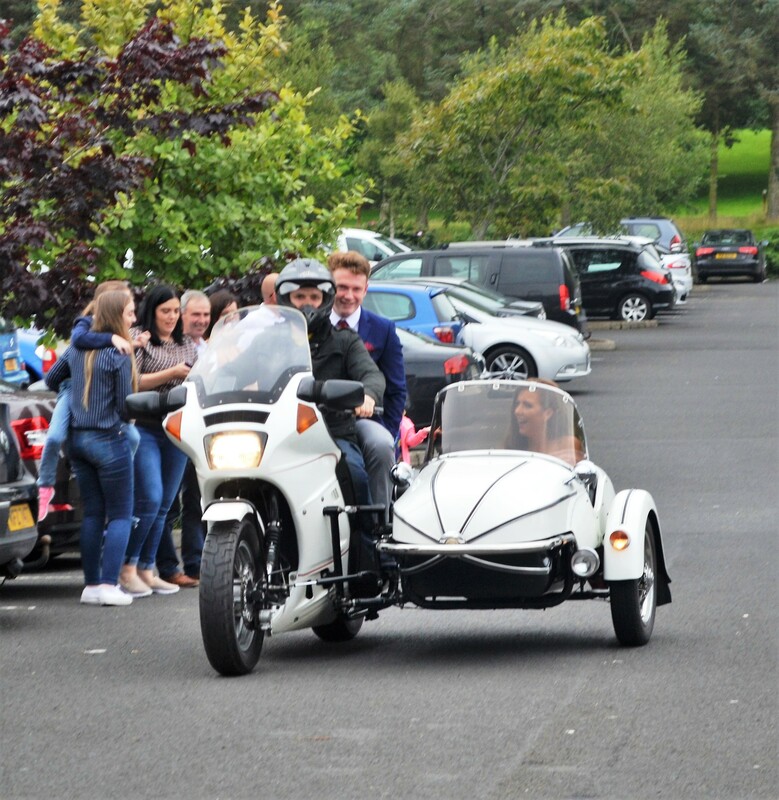 An avid bike fan (his dad is a biker), Ultan had always said he’d like to arrive on a motorbike and his girlfriend in a sidecar. It became a reality last Thursday night at Redcastle Hotel in Donegal. On the night there were arrivals by lorry, by limo, by cool cars, and more cool cars. There was even a number of buses. 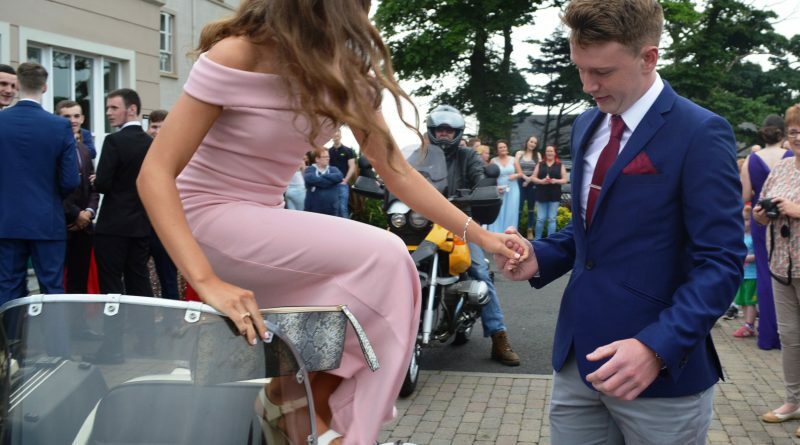 Ultan and his girlfriend Chloe did indeed arrive by motorbike and sidecar and beamed with pride as they pulled up to the red carpet that awaited them. To see this was very special, as I knew how special it was to the boy himself. As a mother we are never quite done with proud moments and momentous occasions when it comes to our children. They may grow up and become young adults but they always remain our children at heart. Our babies.